We're here to protect the smiles of the future with comprehensive, compassionate dental care for children in Surrey. 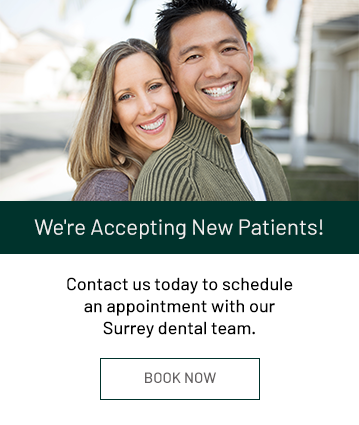 Dr. Seddik, Dr. Salman and their team look forward to welcoming your family to Guildford Smiles Dentistry in Surrey. We proudly serve the families of our community by providing dental care for patients of all ages. Children are special guests in our office because we understand that a positive experience early in life provides them with the opportunity for a healthier smile throughout their lives. We recommend that your child's first dental appointment take place around the age of one. By this time, their first teeth will have started to erupt, and an introductory appointment will give us an opportunity to introduce your little one to the sights and sounds of the dental office. It will also allow us to discuss home care, and your child’s development with you. As your children grow, we are here to support their oral health and wellness. We take a gentle approach and make their experience a positive one. By performing regular dental cleanings, x-rays, and exams, we can often prevent common paediatric dental conditions, such as decay, before they have a chance to cause significant damage or discomfort. We work with parents to encourage excellent home care habits. We also offer fluoride treatment and sealants as added protection against decay. Many children require a restoration at one point or another. We provide comfortable, quality restorations that protect your child’s smile. We also consider their comfort and offer nitrous oxide, tooth numbing, and fun distractions to make their appointments more enjoyable. We celebrate children’s energy by giving them a choice of fun activities at our office so they look forward to their dental appointments. By making your child’s appointment fun and enjoyable, we can create a positive association with their routine dental appointments so they look forward to their visits to our Surrey, BC dental office. We always go at your child’s pace and never force treatment on your little one. We will meet them at their level in order to give them the care they need. We use language that your child will understand, and avoiding scary terms that might cause anxiety.